Johannesburg - The Investec GIBS Savings Index was launched recently to measure SA's state of savings against international counterparts, providing the real facts about savings. The structural decline of SA's national savings rate over the last two decades has been no secret however, the importance of savings to fuel investment for sustained economic growth is less understood. This is the impetus for the partnership of Investec and the Gordon Institute of Business Science (GIBS) to develop the index as an aspirational national savings benchmark to support SA’s economic growth objectives. “We decided to create a Savings Index because we recognised the importance of raising awareness of South Africa’s current state of saving and stimulate the discussion on savings from a corporate, economic, academic and social perspective,” said René Grobler, head of Investec cash investments. “Only once we have the facts, can we begin to measure the performance of our economy in terms of its critical savings components,” she adds. A score of 100 represents SA’s pass mark for national savings measured against the country’s structural high watermark or the average scores of 13 countries termed the “savings stars”. These countries – namely Botswana, Brazil, China, Hong Kong, Indonesia, Japan, Malaysia, Malta, Oman, Singapore, South Korea, Taiwan and Thailand – have sustained an average economic growth rate of 7% per year for 25 uninterrupted years or more. These countries also have five common attributes: a high rate of investment, outward economic orientation, macroeconomic stability, market allocated resources and a competent government. The Investec GIBS Savings Index for 2015 produces a score of 63.4. “At below two-thirds of the way towards ‘passing’ the savings test, the results of the Investec GIBS Savings Index make it clear that South Africa is stuck in a low savings trap. If the South African economy is to achieve elevated and sustained growth that translates into social inclusion and development, it is a necessary condition that the country closes this gap,” said Dr Adrian Saville, professor in economics and competitive strategy at GIBS and chief strategist at Citadel. Among the key insights derived from the index, are that the South African economy’s flow of savings needs to almost double to achieve its growth objectives and that environmental factors and forces are predominantly to blame for the inadequate savings result. The three main obstacles to higher savings are sluggish growth in per capita income, slow growth in productivity and a high rate of unemployment. Savings behaviour in SA has regressed steadily over the last 26 years. The intention of the index is to help facilitate a call to action for all sectors of SA’s society to focus on the importance of savings and finally turn the tide. 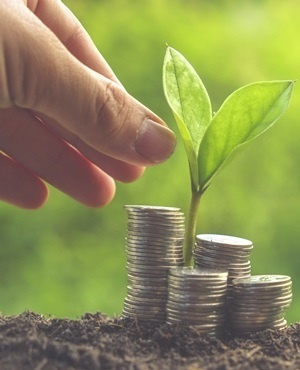 “The Savings Index research indicates that there are at least three ways that South Africa can escape the ‘savings trap’ – by reducing consumption to bolster savings, attracting non-resident savings to promote portfolio investment and attracting foreign direct investment," said Grobler.